content creators ever. But this growing maw brings with it its own challenges. The old model of commissioning and line production by producers without any share of the IP for the latter has been running in the broadcast sector for long now. In this new era of content creation, newer models are needed. What could these be? What challenges will they bring? What are the new streams of monetization that content producers and creators and broadcasters and platforms can bank on? What business models are working in different international markets? Are there any successful new case studies worth talking about? How are the older producers and creators evolving? Who are the newer producers who are making a mark? How big is the syndication, licensing and merchandising opportunity? Which geographies? 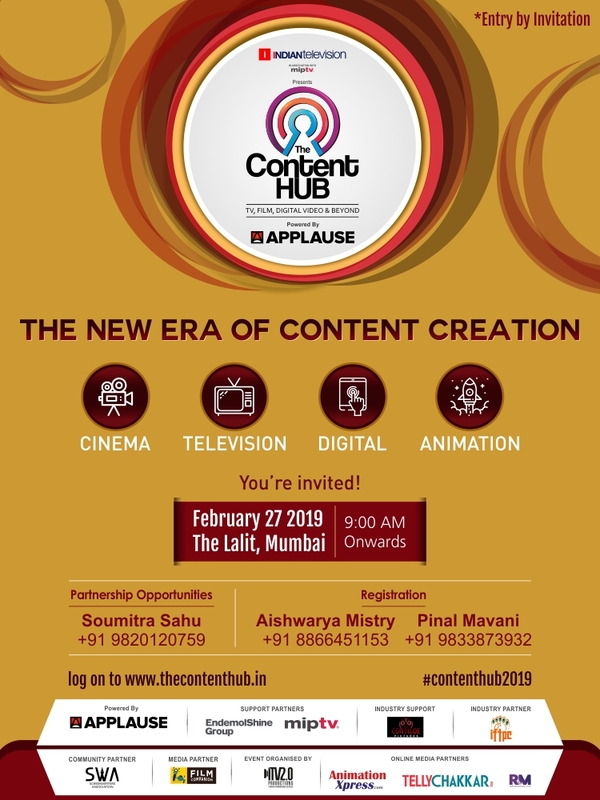 Indiantelevision.com’s The Content Hub – The New Era of Content, which is set to be a path breaking get together of the country’s leading content makers, platforms and creators and is intended to sow thought leadership seeds for the new era of content creation. As a Community Partner for the event, the Screenwriters Association recommends that all writers and lyricists working, or interested in working, for television attend this event. – Limited Seating, on ‘First Come, First Served’ basis. – You will need Confirmation Email from SWA to attend the event. – Entry to only for first 50 RSVPs. This entry was posted in Notices on February 21, 2019 by SWA Editor. 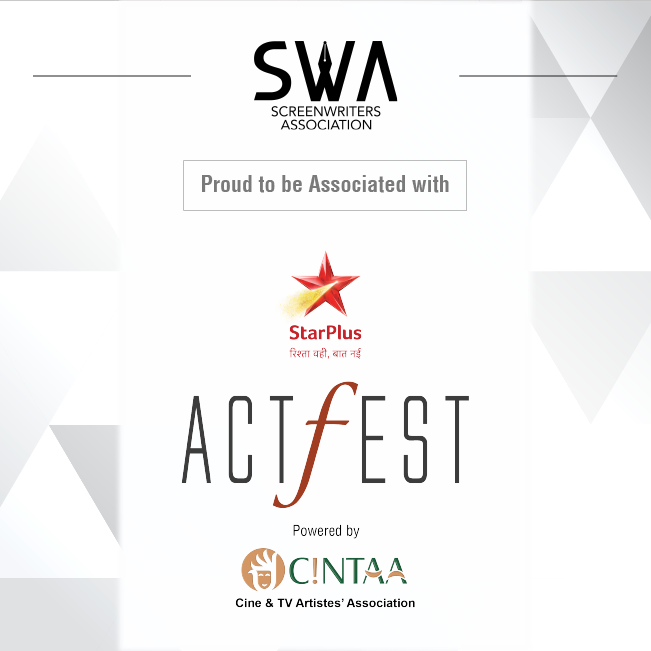 The Screenwriters Association is proud to support India’s first acting festival – ActFest 2019. It is also the world’s first exclusive festival for the actors, by the actors which consists of workshops, panel discussions, lectures and more for aspiring and professional actors and acting enthusiasts. The festival will be held on February 15 and 16, 2019 in Mumbai, India. With 60 industry speakers, 1500 expected participants and 10 panel discussions; ActFest is organized by Star India, CINTAA (Cine and TV Artistes’ Association) and the 48 Hour Film Project (48HFP), India. The festival is spread over six different venues of Shree Vile Parle Kelavani Mandal (SVKM), Vile Parle (W), Mumbai. The venues are Mukesh Patel auditorium, Juhu Jagriti hall, Seminar hall, Santokba hall, Santokba Foyer and Bhaidas Foyer area. All these venues are located at Mithibai and NM Colleges, within walking distance of each other. WIN A COMPLIMENTARY PASS TO ACTFEST 2019! Define the relationship between an actor and a screenwriter, in one line. 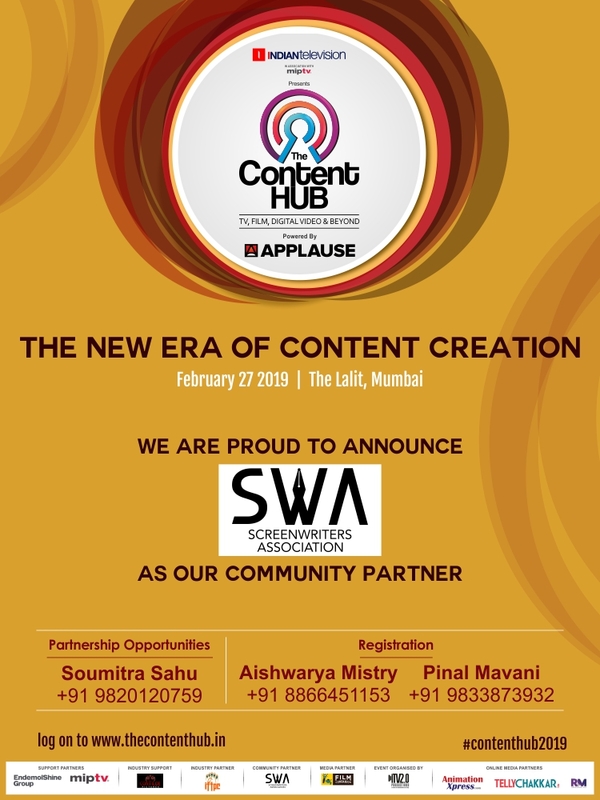 The most creative responses, picked by SWA’s Events Sub-committee, will be offered a complimentary pass to ActFest 2019. Hurry, limited spots available (open to SWA members and non-members)! 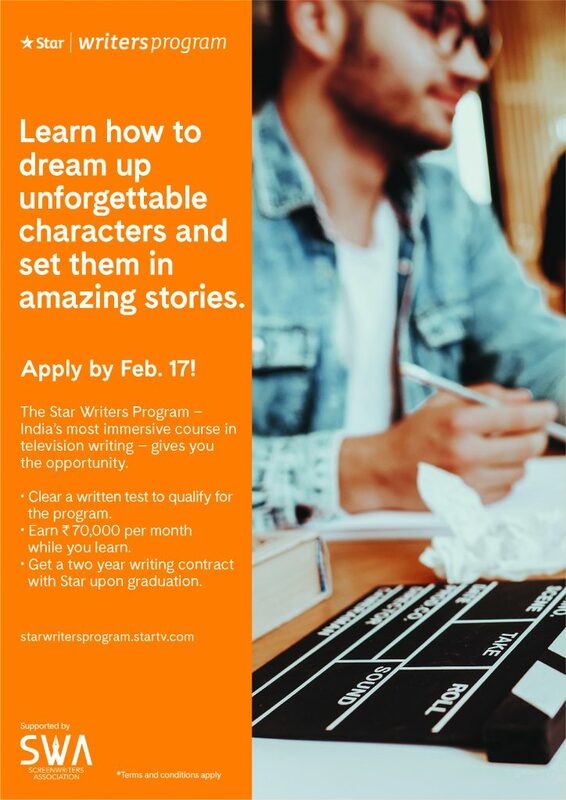 This entry was posted in Notices on February 12, 2019 by SWA Editor.